'The Handmaid's Tale' is dramatically convoluted, no argument there. But it is so musically inventive that you get pulled in anyway. Why See Boston Lyric Opera - The Handmaid's Tale? Particularly poignant in the an age where we are increasingly aware of the influence of Big Brother and the suppression of women, Margaret Atwood's celebrated dystopian novel The Handmaid's Tale is appearing less and less like fiction. Breaking new ground with their 2018/19 season, the Boston Lyric Opera presents the re-orchestrated revival of Poul Ruder's 2000 powerful adaptation of the harrowing tale of power and patriarchy, helmed by prolific director Anne Bogart. Recently turned into an Emmy Award-winning TV series starring Elizabeth Moss, The Handmaid's Tale is set in the imaginary military state of the Republic of Gilead. Ruder's chilling dissonances and spectral colors punctuate the story of protagonist Offred, played by American soprano Jennifer Johnson Cano, who struggles against a male-dominated, totalitarian class system that strips her of her former name and life by placing fertile woman such as herself in the homes of the wealthy ruling class to bear children. Seen Boston Lyric Opera - The Handmaid's Tale? Loved it? Hated it? Sound good to you? 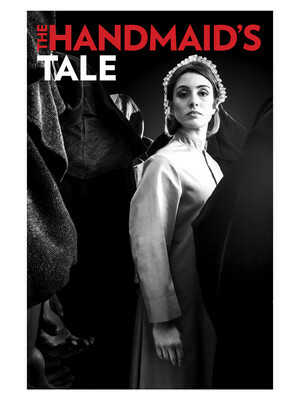 Share this page on social media and let your friends know about Boston Lyric Opera - The Handmaid's Tale at Lavietes Pavilion.